Everyone can benefit from Reiki whether it is a doctor, businessman, student or a housewife. It is not only useful for curing diseases but also useful in solving issues faced at professional level (like job search, promotion, exam results etc.) or personal like marriage, lack of self-confidence etc.). A calm and composed mind and body. Heals casual as well as severe diseases like heart disease, cancer, paralysis, T.B.,diabeties, gynaec problem, stone problem, blood pressure, stomach and lever problems, back ache, joint pains, ear and eye diseases, head ache, memory loss, obesity etc. Remember the Laws of Nature still apply. Reiki will not render you immune from the vagaries of life and it will not secure you from Natural Law. For example: if you cut yourself and don’t wash the area, apply some form of antiseptic and keep it lightly covered, you are inviting infection. If you abuse your body with smoking, drugs, alcohol, poor diet and inadequate mental and physical exercise, you will, sooner or later, suffer the consequences. We are part of a natural system and as such we are subject to its laws. Our bodies are part of the system. We ignore our biology at our peril. Reiki is not an insurance policy against living in an unhealthy manner. Rather, Reiki will support you in actively promoting your general improvement. Reiki is a Japanese healing therapy. 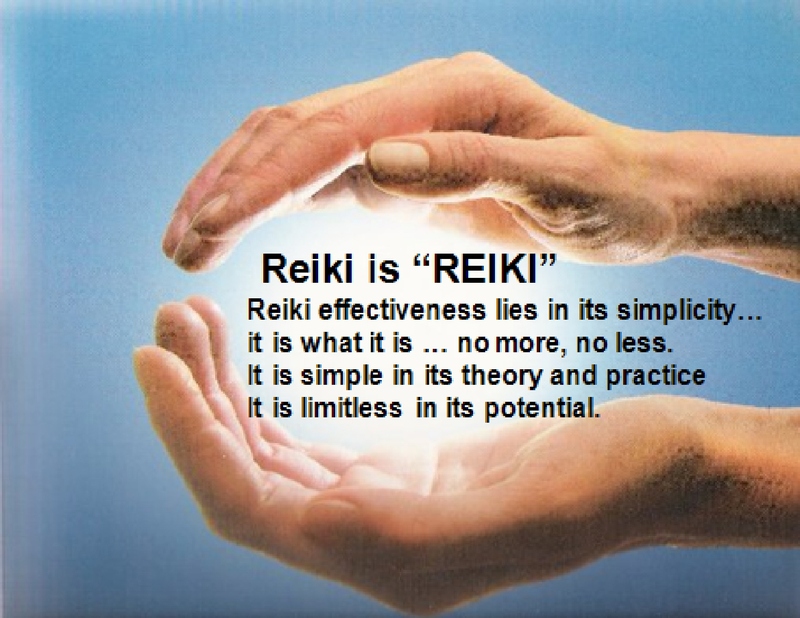 The word “Reiki” is made of two Japanese words- Rei means Universal and Ki means life force/driving energy. Reiki is actually spiritually guided life force energy. When this energy is low, one is more likely to feel sick and unhappy and if it is high, one may feel healthy and happy. Reiki involves transfer of energy from practitioner to patient so as to restore and balance natural life driving energy within body. Reiki addresses physical, emotional, mental and spiritual imbalances. Reiki is an intelligent energy and can never do damage in any way, since it only flows in the quantities necessary for the recipient. Reiki is neither a religion nor it is based on any religion. Reiki is not related with any type of black magic, hypnotism or psychology, necromancy etc. It has no dogma, and there is nothing you must believe in order to learn and use Reiki. In fact, Reiki is not dependent on belief at all and will work whether you believe in it or not. Reiki energy flows from the practitioners hands into the patient. The patient usually lies down on a massage table but treatments can also be given while the patient is seated or even standing. The client remains fully clothed. The practitioner places his hands on or near the patient’s body in a series of hand positions. These include positions around the head and shoulders, the stomach, and feet. Other, more specific positions may be used based on the patient’s needs. Reiki may be experienced as a mild tingling, warmness, coolness or nothing at all. Generally most people experience sheer relaxation. It is possible that you could drift into a deep relaxed state of mind and you may need a few minutes to come round at the end of the session. Reiki can be learned by anyone from 11 yrs. to 111 yrs. and doesn’t need any particular qualification or intellectual capacity. Reiki is not taught in the usual sense, but transferred to the student during a Reiki class. This ability is passed on during an “attunement” given by a Reiki master and allows the student to tap into an unlimited supply of “life force energy” to improve one’s health and enhance the quality of life.